over whether it is a straightforward novel of sentiment or a satire on the social and economic inequalities of the period and the very literary conventions and morality it seems to embody. This edition also includes a new, up-to-date bibliography and expanded notes, and contains reprints of Arthur Friedman's authoritative Oxford English Novels text of the corrected first edition of 1766.
teenagers, a Job-like figure heroically facing life's blows, and an alertly curious, helpful, loving person. 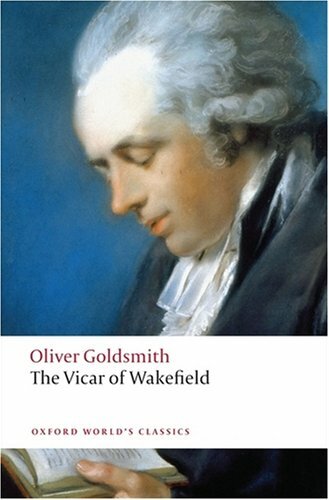 Another reason is Goldsmith's own mixture of delight and amused condescension (analogous to, though not identical with, Laurence Sterne's in Tristram Shandy and Johnson's in Rasselas, both contemporaneous) as he looks at the vicar and his domestic group, fit representatives of a ludicrous but workable world. Never married and always facing financial problems, he died in London and was buried in Temple Churchyard.